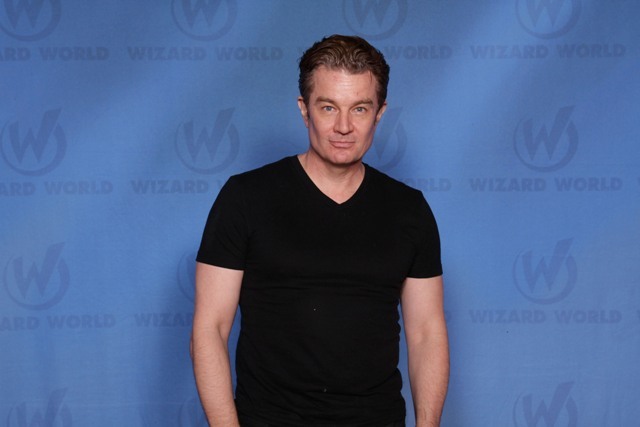 James Marsters is best known for his portrayal of Spike, the anti-hero vampire, from the Buffy the Vampire Slayer television series, but the television and voice actor began his acting career in a far less menacing role. Marsters reminisced about his body of work at Wizard World Comic Con Fort Lauderdale to a crowd of eager fans. Topics ranged from his work on Smallville and Torchwood, but time and time again, he fielded questions about his most famous role, Spike. He liked the idea of Spike as an underdog. At first, Marsters played Spike as a badass as he thought that was how he was before he was turned into a vampire. Instead, Joss Whedon, series creator and writer, flipped it in Spike’s origin-story episode. Marsters received the surprising script three days prior to filming, but he would not be discouraged that the strong vampire had a meek beginning. Like many fans, Marsters’ favorite episode of Buffy is Once More, with Feeling, the musical episode. At first, Marsters said, the cast was apprehensive about doing a musical episode, as musical television shows could destroy their careers. Instead of a script, Whedon gave the cast a cassette of the songs. Marsters, himself, is a singer, having done vocals for his “ferocious pop rock band,” Ghost of the Robot, but most of the actors didn’t feel as comfortable. The crew’s anxiety was short lived. Whedon filmed their first scene and showed the rough cut immediately to the cast. After that, they were convinced of Whedon’s vision. It was one of the most fun experiences on the set. Marsters talked about his work as the narrator for the last 15 audio books of The Dresden Files. While television and audio are two very different mediums, “they’re all flavors of ice cream.” Doing an audio book is like doing theater again, for the actor. It forces him to amplify the emotions when he can’t do so through his facial expressions or his body. Among his other favorite roles was Brainiac on the Smallville television series. Marsters, a self-proclaimed nerd, was inspired by a Superman comic-book cover showing the deranged villain’s smile. “Knowing he was a robot and seeing that maniacal grin on his face, as an insane robot” made the character even more disturbing. Marsters said he enjoyed playing an ally to young Clark Kent, knowing the entire time his character was going to try to kill the future Superman. He was especially pleased to work in that maniacal grin, in his fight scene with Clark. But despite the fun he had portraying the futuristic crazed android, Marsters loved his work on Doctor Who spin-off Torchwood, as Captain John Hart, an omnisexual time traveler. He loved the show for its subversive nature.